Marshal of the Indian Air Force Arjan Singh, DFC (16 April 1919 – 16 September 2017) was an Indian Air Force marshal who served as Chief of the Air Staff from 1964 to 1969. For his distinguished service in commanding the IAF during the Indo-Pakistani War of 1965, he was awarded the Padma Vibhushan and in 1966 became the first IAF officer to be promoted to air chief marshal. After retiring from the IAF, he served as a diplomat, politician and advisor to the Indian government. 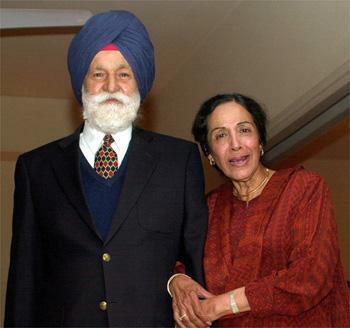 He was Lieutenant Governor of Delhi from 1989 to 1990. In 2002, he became the first and only officer of the Indian Air Force to be promoted to five-star rank as Marshal of the Indian Air Force, equal to the army rank of Field Marshal.